Whiteboards, or dry erase boards, are such a versatile and helpful classroom tool. They're a great way to reduce paper use, do a quick, informal assessment, and give your students a chance to quickly jot down ideas. First, let me just share that I’ve used many different types of whiteboards in my classroom and many different types of markers. I’ve gone the SUPER cheap route with both, and I’ve always regretted it. 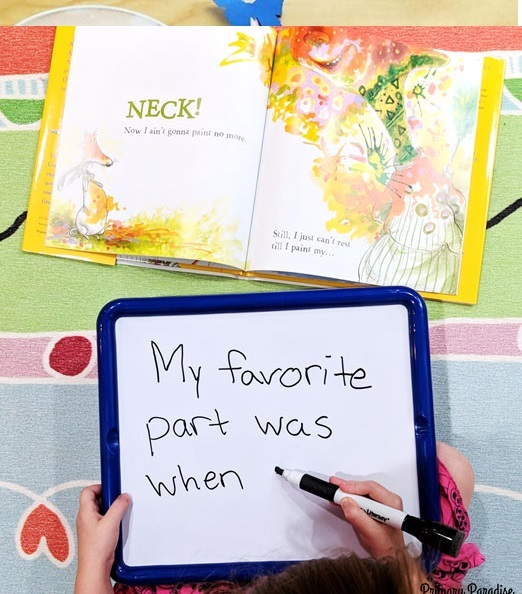 Featured in this post are these awesome Double-Sided Magnetic Dry Erase Board Sets that I got from Steps to Literacy - and they are by far my favorite. I love that the boards are double-sided and magnetic because that makes them all the more useful. I also love markers that have erasers built right in. It makes it so much easier for students to erase as they’re working. There are 5 main ways I use whiteboards in my classroom. I've provided ideas, new games and tips for each one of them. You can read the details by clicking the link below for using whiteboards at Small Group Tables, Calendar Time, Read Alouds, ABC Mystery Game and Math or Spelling Practice. Click here to learn 5 ways to use whiteboards in your classroom to keep students engaged!